Circular, concave discus has figural relief, small filling hole lower center left, and narrow, flat framing ring. Figures are two opposing gladiators over ground line: left one (fr. a) is διμάχαιρος standing right leg extended and left leg flexed, holding short sword in right hand and wearing greaves, standing over sword on ground; right one (fr. 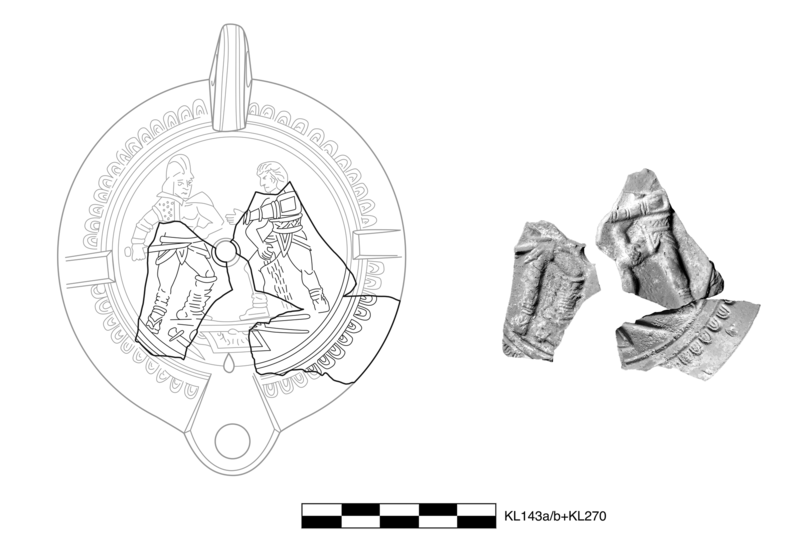 b) is retiarius standing left leg extended and right leg flexed, with right arm bent down to cover bleeding wound on his inside right thigh and left arm extended across body wearing rectangular galerus at shoulder, standing over trident and shield on ground. Narrow, somewhat sloping shoulder has small ovules. Details are sharp and distinct. 2.5YR 7/6 to 6/6, light red. Early/Middle Roman Corinthian reddish lamp fragment: fine, somewhat hard, platy fracture. 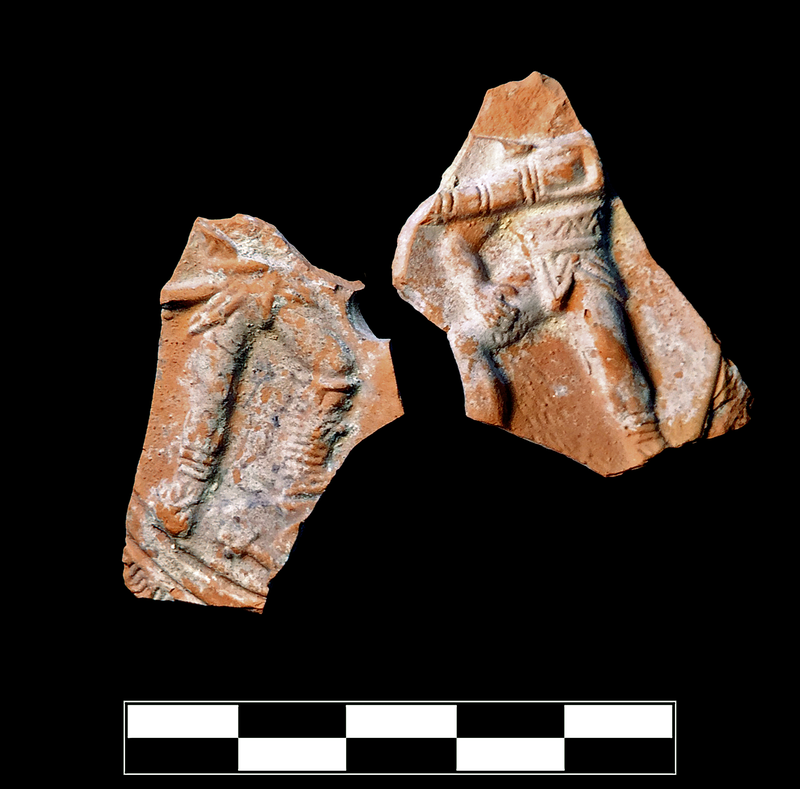 Two nonjoining sherds (KL143a/b) and one joining sherd (KL270) preserve over one half of discus and small part of front right shoulder. Slight, sparse abrasion and chipping; sparse specks of encrustation.